Each month, we share the news and honors of Artist Fellows & Finalists. Here’s the newest, in this new month of the new year. Regie Gibson, Letta Neely, Monica Raymond, and David Valdes Greenwood are among the artists whose work will be performed at Pinning Our Hopes, an evening of poems and scenes exploring the years ahead under the new president. The show, which is curated by David Valdes Greenwood, has two performances (1/14, 4 PM and 8 PM) and is free/donation-based. Marky Kauffmann and Rania Matar both have photography in Outspoken: Seven Women Photographers at the de Menil Gallery at Groton School (opening reception 1/18, 7 PM). Marky Kauffmann curated the exhibition. Kenji Nakayama and Ben Sloat are among the artists in the exhibition All That Glitters Is Not Gold at Drive-by Projects (1/28-3/11, reception 1/28, 4-6 PM). Rachel Perry, Joe Wardwell, and Deb Todd Wheeler are among the artists exhibiting in Loud and Clear at Miller Yezerski Gallery (1/6-2/7). Daniela Rivera and Evelyn Rydz are both exhibiting in latinx@mericañaza at Samson Projects. Kati Agócs had the U.S. premiere of her string quarter Tantric Variations, performed by the Cecilia String Quartet on Stradivari instruments, at the Library of Congress in Washington, D.C. in December. Alexandra Anthony has a one-week theatrical run of her film Lost in the Bewilderness in Athens, Greece (1/12-1/18) at the Alkyonis Art Cinema. National Greek TV (ERT) will broadcast the film 1/15. The film’s December premiere in Greece received press attention in Madame Figaro and THETOC.gr. Carrie Bennett has poetry in Issue 30 of jubilat. Steven Bogart has a staged reading of his play Rehearsal at First Church in Boston Unitarian Universalist (1/24, 7 PM). David Bookbinder has recently published two books: 52 (more) Flower Mandalas (an adult coloring book collaboration with Mary O’Malley) and Paths to Wholeness: Fifty-Two Flower Mandalas. 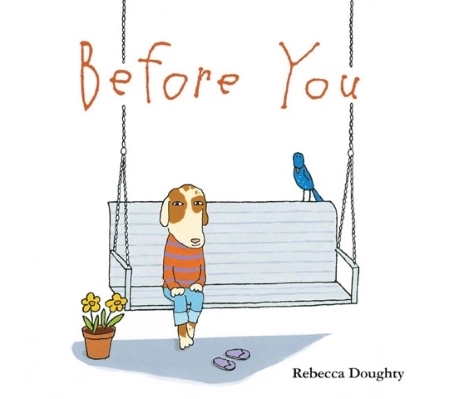 Rebecca Doughty has a new picture book, Before You, which will have a book launch event at Joie de Vivre in Cambridge (1/15, 4-6 PM). Michael Dowling co-wrote the feature film Brave New Jersey, and it’s screening at the Berkshire Film Festival (1/12, 6 PM reception, 7 PM screening, q&a to follow). Samantha Fields has a performative sculptural installation in the exhibition Is this Something at the Lasell College Wedeman Gallery (1/24-2/11, reception 1/29, 4-6 PM). Next summer, she will be Artist-in-Residence at the John Michael Kohler Arts Center in Wisconsin. Sean Greene has a solo exhibition, Impulse Control, at the Williston Northampton School Grubbs Gallery (thru 1/30, reception 1/14, 1 PM). Carrie Gustafson is exhibiting in the New York Ceramics and Glass Fair (1/18-1/22). Michael Hoerman‘s poems “Disoriented Fascination,” “The God-box Killer,” and “The B-side of Stuxnet,” published in Eureka Literary Magazine, were nominated for the Pushcart Prize. Eric Hofbauer‘s album Three Places in New England (with The Eric Hofbauer Quintet) was named one of the Boston Globe’s Top Ten Jazz Albums of 2016. Joel Janowitz has a solo exhibition, Protected Trees, presented by Cambridge Arts at Gallery 344 (1/23-4/7, reception 1/30, 6-8 PM). Niho Kozuru is among the artists in Plastic Imagination Fitchburg Art Museum (thru 1/15). Scott Listfield is exhibiting in Supersonic Invitational (New York City), Platinum Blend 3 at Modern Eden Gallery (San Francisco), BRINK at Antler Gallery (Portland), and a Rick and Morty-themed exhibition at Gallery 1988 in LA. Caitlin McCarthy is included in the book The Top 100 Indie Writers in the World. Nathalie Miebach is in the group show Weather or Not, That Is the Question at the Children’s Museum of New York City (1/16-5/23). She’s also exhibiting in Rooted, Revived, Reinvented: Basketry in America at the University of Missouri Museum of Art and Archeology (1/27-5/14). Anna Ross has a poem, Back Porch Aubade, published on Harvard Review Online. Evelyn Rydz‘s exhibition Floating Artifacts is at Tufts University Art Gallery (1/24-5/21, opening reception 1/26, 5-7:30 PM). As mentioned above, she’s also exhibiting in latinx@mericañaza at Samson Projects. Jenine Shereos has a solo show of new work, Thaw, at Tower Hill Botanic Garden in Boylston (1/14-3/8, reception 2/25, 5-7 PM). Karen Skolfield won the Jeffrey Smith Editors’ Prize in poetry at Missouri Review. Shubha Sunder wrote about the writing workshop experience for the Grub Street’s GrubWrites blog. Read past Fellows Notes. If you’re a past fellow/finalist with news, let us know. Image: cover art for BEFORE YOU by Rebecca Doughty (Houghton Mifflin Harcourt 2017).